These repairs have enabled us to receive our permanent Certificate of Occupancy, and will allow the theatre to once again come alive with local and touring performers, an array of films, educational programs, and community activities. These accomplishments have been possible thanks to your support! 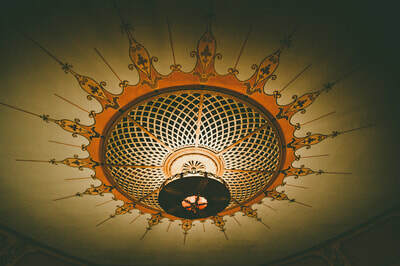 When built in 1922, the Whiteside Theatre was the second grandest movie palace in Oregon at that time. The building is an excellent example of Italian Renaissance architecture applied to a theatre. It is probably Corvallis' best historic commercial building in terms of original design and integrity. The upper story of the exterior of the building retains its original ornamented effect, executed in brick, glass, cast "stone" and plaster. The original layout of the theatre is intact and numerous interior decorative features remain from the 192O's period. The Whiteside brothers were the pioneers of the movie industry in Corvallis. They started with the Palace Theatre in 1908 and eventually operated six more theatres within the city. The theatre was operated up until the winter of 2002. 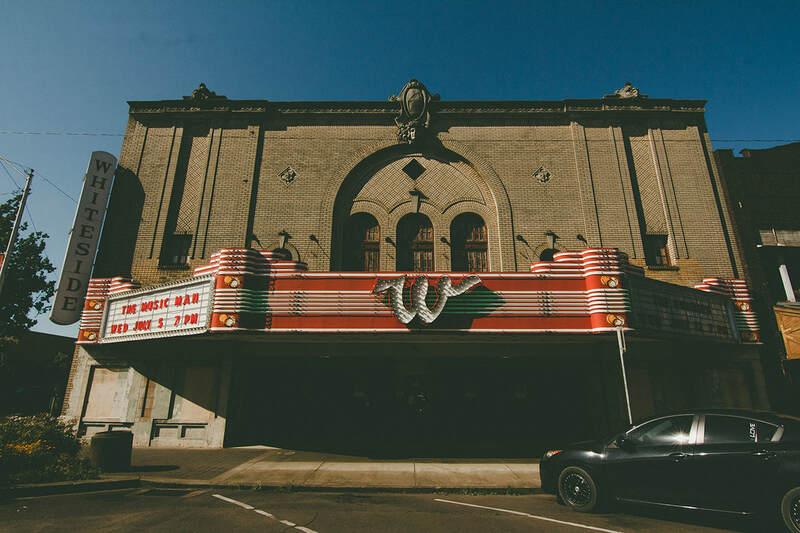 The Whiteside Theatre (70' x 100') was built in 1922 in the Italian Renaissance style of architecture. The brick structure rests on a foundation of solid reinforced concrete. There is a partial basement beneath the building. The front façade is composed of over 15,000 pressed concrete cream colored face bricks and is embellished with cast "stone" and plaster ornamentation. Featured are a cornice decorated with a reticulated lattice motif, a central cartouche above a mask (which rest upon a central decorative arch) and two masks atop the cornice on both ends. Other decorative features include art-glass windows in arched surrounds with cast keystones, basket weave panels below the two cornice masks, and two plaster quatrefoils with fleur-de-lis on either side of the central decorative arch. Small quatrefoils with shields are found directly below the cornice upon projecting brick strips. Garden boxes at the base of these strips are no longer featured. 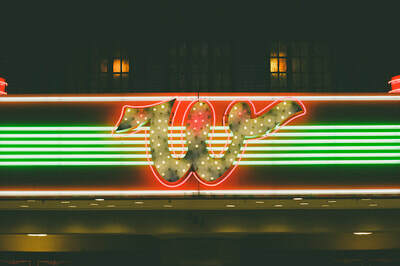 The neon marquee was added in 1950 and designed to replace the original flat-roofed marquee. The ground floor facade has been somewhat altered. Stucco panels cover the cast stone at street level where movie posters were previously featured in display cases. Six pairs of front entrance doors are not original. The recessed entrance to the theatre features a Caen stone effect walkway and the words “Whiteside” to the west of the box office and “Theatre” to the east. The interior of the theatre has changed very little since a 1927 restoration. Saved from the 1927 fire were the foyer, restrooms on the mezzanine, and the business offices. A new concession was added to the foyer in 1948. At the bottom of the two interior stairways, to the left and right of the concession, are original alcoves featuring vertical sconces with multi-colored bulbs. The restrooms and projection room are intact. The two business offices retain the original stenciled frieze and ceiling trim. One includes a black enameled furnace. 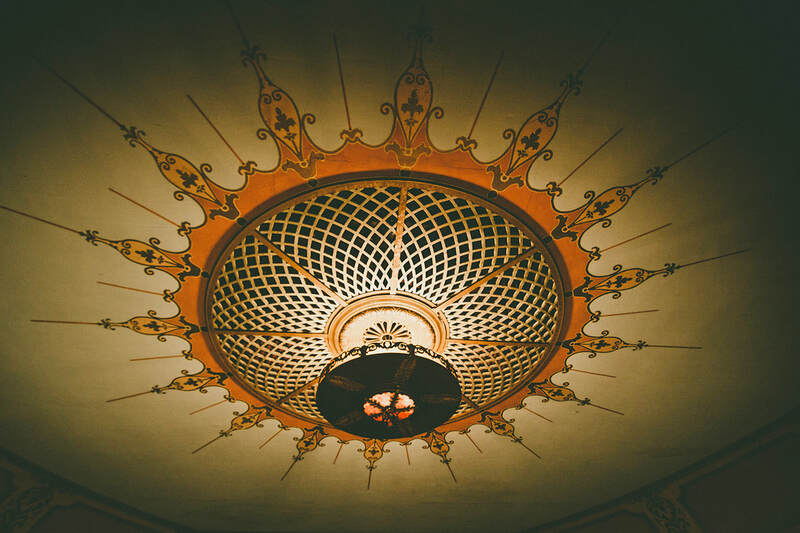 The auditorium features gilt stenciled frieze work and decorative plaster cast mouldings. Centrally located overhead is a chandelier that provides indirect lighting with hundreds of concealed bulbs. To either side and in front of the stage are garden boxes with organ bays above, originally used for the organ pipes. When Talkies came in, speakers were placed in two of the upper boxes. The theatre was built for stage shows and moving pictures. Originally seating 1135 people, the theatre accommodated 800 people up until its closure in 2002. The Whiteside Theatre opened to the public on November 9, 1922. The picture "The Old Homestead" was shown that night with Mrs. Lillian McElroy accompanying on the $20,000 two-manual double touch Wurlitzer Organ. That organ was the largest, and the Whiteside Theatre the grandest, in the state of Oregon (excepting the Liberty Theatre in Portland). The Whiteside Theatre cost over $100,000 to build (a substantial sum at that time). The theatre was designed by Seattle architect H. Ryan and erected by local contractor McFadden & Swain. It was built with brick from the Builders Supply Company and lumber from Buxton's Central Planing Mill, both Corvallis firms. The Whiteside Theatre was the pride of owners Samuel and George Whiteside. These two brothers pioneered the theatre business in Corvallis. Two other brothers were instrumental in the Corvallis automobile business in the 1920's. Samuel and George Whiteside were born in Burlington, Iowa; Sam in 1878 and George in 1874, of Samuel and Sarah Follette Whiteside. The family came to Benton County in 1891 and located on a farm. Later they moved nearer Corvallis to a home at "College Farm" near Country Club Way. Samuel Whiteside Jr.'s Tudor Revival home remains on a portion of that tract. The Whiteside brothers first operated a transfer service in Corvallis. Later they were in the grocery business and then they operated a shoe store on North Second Street. It is reported the brothers also operated a traveling theatre tent show that visited small towns in the area (c. 1906). Their interest in motion pictures prompted them to open The Palace Theatre in 1908 on North Second Street. This theatre was destroyed by fire and the Whiteside brothers then operated the Crystal Theatre (and apparently the Idlewile Theatre) before building The Majestic Theatre in 1913. 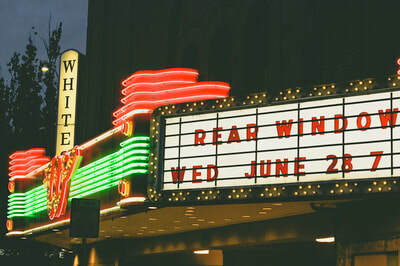 The Whitesides opened the State Theatre in a remodeled garage building on Third Street in 1931 and Charles Whiteside, a brother, opened the Mid Way Drive-in Theatre north of Corvallis in 1953. Sam and George Whiteside built the Whiteside Theatre in 1922 in honor of their father. 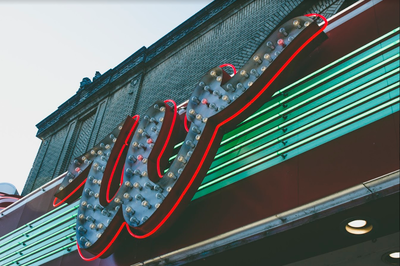 The Whiteside family owned the theatre building until 1985, when Vida Carlson Whiteside (whom Samuel Jr. married in 1915) sold the property to Tim Moyer Cinemas, Inc. 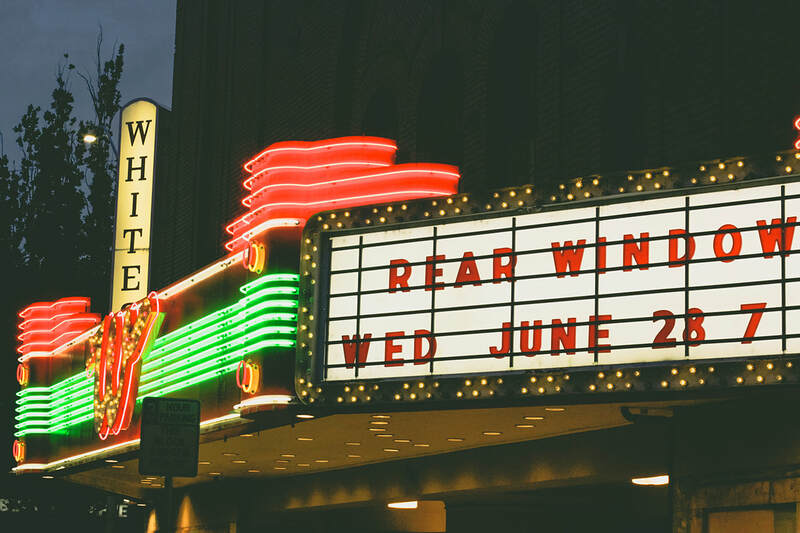 The Whiteside family was involved in the Whiteside Theatre's activities for a total of 63 years, and in Corvallis' theatre entertainment business for over 77 years. 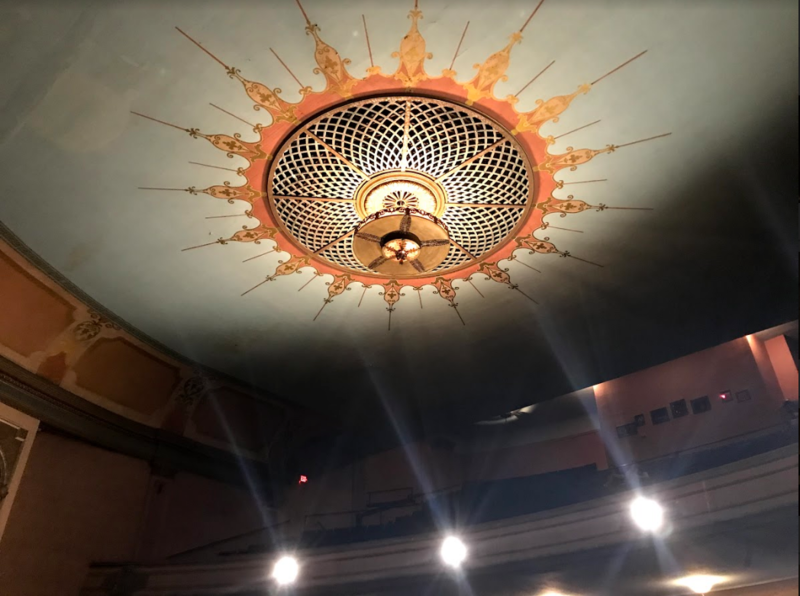 ​When the Whiteside Theatre was opened in 1922, it was splendidly decorated befitting its role as Corvallis’ grand movie palace. The foyer was richly carpeted with Wilton rugs and hung with rose color velour draperies. Attractive wall lamps and a marble drinking fountain were featured. Statues, flowers and artistic sconces were arranged within alcoves at the bottom of the two, wide staircases that led to the mezzanine, balcony, and restrooms. The exterior doors were walnut. Beveled mirrors remain hanging upon the walls. The ladies restroom was beautifully furnished with couches, dressing tables and writing stands of French blue and ivory wicker. The walls were paneled in orange and black and the carpets were blue and black velvet. Off the restroom was a separate writing room and lavatory. The men's restroom also included a specially designed fireproof smoking room with wicker writing tables and velvet curtains. The mezzanine had furnishings in blue and gold, upholstery in silk mohair fabric, and lighting fixtures with antique gold finish. The "damask effect" draperies were imported and carpets were rose and taupe colored. Fern baskets were at the windows. The auditorium walls were a warm ivory color with blue and rich gold trim. The gilt frieze work was $4000.00 worth of decorative cast plaster. Three large tapestry panels with landscape scenes, floral shrubbery, and even a peacock were featured. Overhead in the center of the auditorium was an indirect light dome (still present) with hundreds of concealed bulbs. 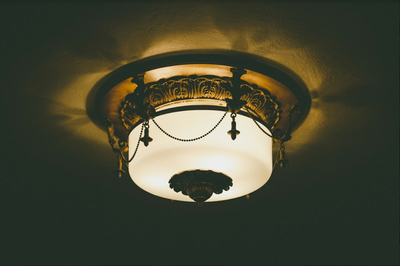 The fixture originally had three circuits with three colors each and dimmers. The Theatre was built for cinema; however, live productions were carried out upon the stage. The organist’s dressing room on the right was used as a women's dressing room and the uniformed lady ushers' dressing room on the left was used for a men's dressing room. The stage was hung with heavy velour curtains of neutral tones bordered with silk fringe. 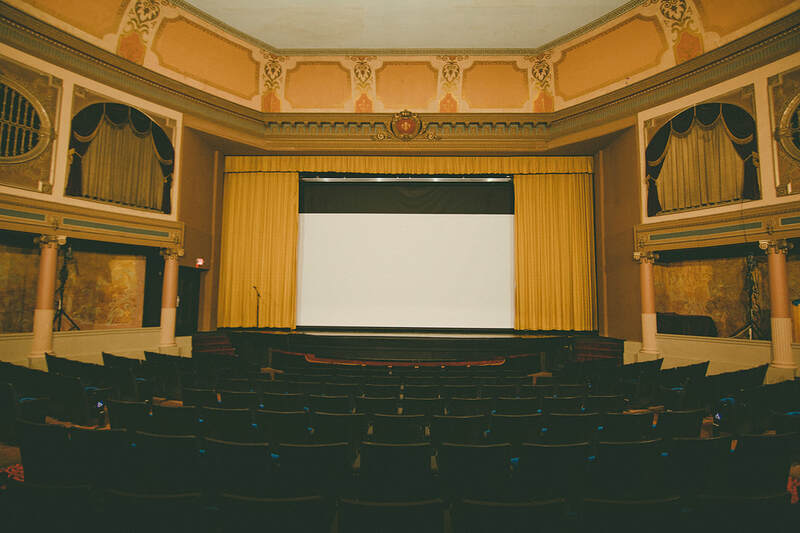 The cinema screen of gold fiber material was constructed especially for the Whiteside Theatre and was the same kind used in the Capitol Theatre in New York City. The screen was scientifically manufactured to fit the exact distance between the screen and the projector and it was meant to absorb or reflect rays of light in a manner to make viewing easy. On either side of the stage were boxes (still present) that were used for the organ pipes as well as for decorative effect. At one time, organ music emanated from behind curtained booths. Below the organ boxes were "gardens" instead of the old-fashioned royalty boxes. Flowers and shrubs were placed in the boxes temporarily, for example, Christmas trees at Christmas time or shocks of corn and fields of yellow pumpkins in the fall. The seats in the theatre were large and comfortable. On both the balcony and main floor were two rows of leather upholstered spring seat loge chairs. The 1135 seats in the theatre (500 in the balcony) were made from walnut. The aisles, like the foyer, were richly carpeted. On the mezzanine, behind the balcony, were two private offices. Today these offices include one of the original heaters and the original stenciled frieze work. One of these offices was for the Whiteside brothers and the other was for the bookkeeper. 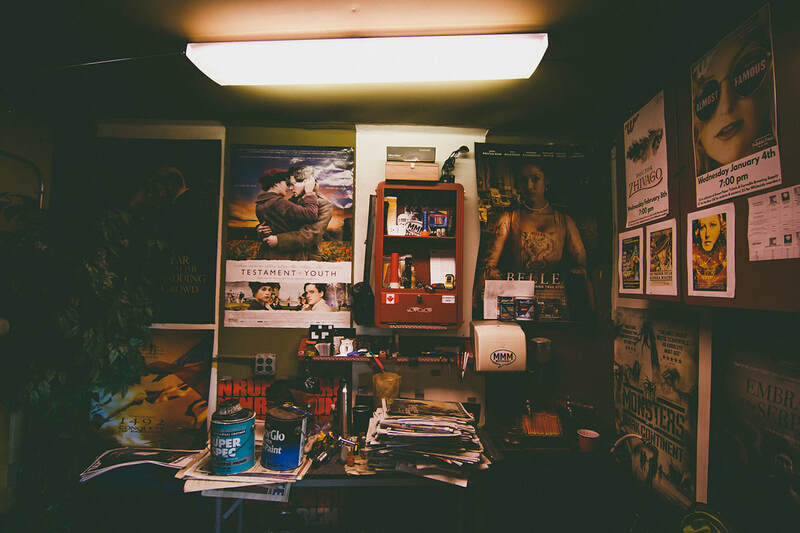 In the projection room were three Simplex cinematographs. The operator’s room was constructed using laminated steel and asbestos. Also in the room was a fire-proof film rack, a spot light, a slide lantern, and a special ventilator. The ventilating system was reported to be "perfect". A pressure system at 80 pounds to the inch, brought under pressure at the rate of 45,000 cubic feet per minute, kept the theatre constantly supplied with fresh air. There was a heating system in the basement. In March of 1927, the Whitesides passed management of the Whiteside and Majestic Theatres to Universal Theatres Corporation, a company owning over 600 theatres in the United States. Sam and George were retiring after almost 20 years in the business. The theatre business and the furnishings were leased to the new corporation while the Whitesides retained ownership of the buildings. On October 19, 1927 the interior of the Whiteside Theatre was gutted by fire. It was estimated that $50,000 worth of damage occurred. The fire was believed to have started in the work room backstage. The interior was heavily damaged except for the foyer, restrooms in the mezzanine, and the business offices. Flames, smoke, and heat rolled along the ceiling of the auditorium and destroyed the balcony. All seats in the balcony were charred. Chunks of plaster and terra cotta dropped from the walls. The first 15 rows of seats on the main floor were also ruined; however, the seats and carpet under the balcony on the first floor were in good condition. The grand Wurlitzer organ had to be replaced. The console was ruined and the pipe installation damaged. Fifty patrons were in the theatre at the time of the fire and two women in the restroom had to climb out through the front windows over the marquee since the stairs were hidden from view. There was no fire alarm turned in but when the firemen came (from the fire station across the street!) there was a delay in manning hoses and they had to break down the stage door. The theatre was completely redone inside "from rafters to basement" and reopened on January 2, 1928. A comedy, Glenn Tryon in "A Hero For a Night" was played. 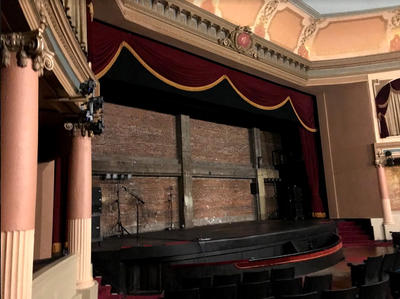 The new theatre manager, E.M. Ludwig, conducted a tour through the “New Whiteside Theatre.” There was a new $20,000 Wurlitzer organ and the interior of the theatre was decorated in polychrome stripped finish highlighted in gold. Cove lighting and hidden lights of red, green, orange, and blue were installed in the auditorium. A new chandelier was hung from the grillwork dome overhead. A new stage curtain of Mettaline ran on a track instead of being raised. This curtain was used to flash the movie title upon, then it was withdrawn to reveal the screen. The new screen was white rubberized rayon that was reported to be smoother and better than the previous screen. Improvements were made to the stage for vaudeville acts. All the seats on the lower floor and upper floor were replaced with soft cushioned decorative iron chairs. The old loge seats were moved upstairs and new ones installed on the main floor. New furniture and heavy rose colored carpets were placed throughout the movie house. New drapes and a polychrome decorative scheme were added to the entrance box office. Caen-stone effect was used on the front walk. By November of 1928, it was permitted to show movies on Sundays in Corvallis. 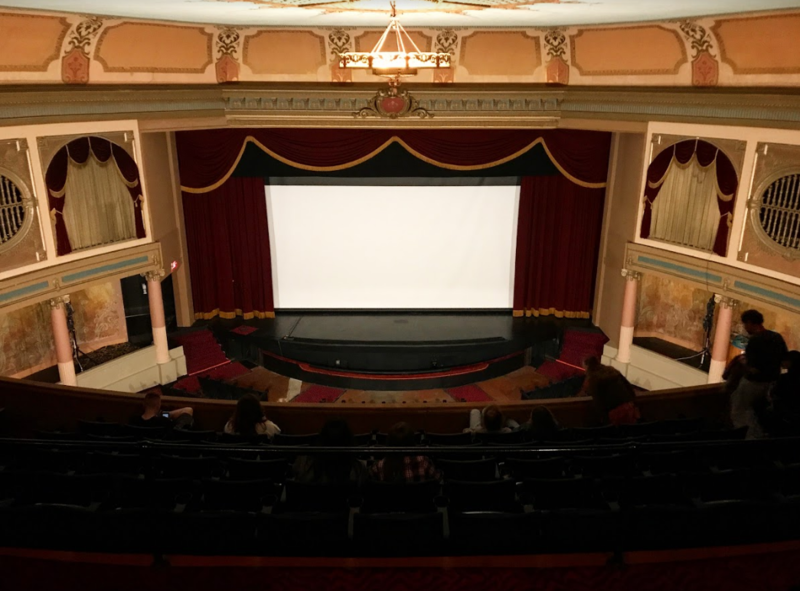 One month later, the Whiteside Theatre showed the first "'Talking Movie" in town. In order to accomplish this, Greg Allen installed vitaphone talking picture equipment in the theatre. The equipment, from Philadelphia, cost $35,000. In October of 1936, fire struck the theatre again. The cause of the blaze was a mystery but it appears that one night flames broke out between the ceiling and the roof in the auditorium. Fortunately, the organ and sound equipment were not damaged and all the seats in the theatre were salvaged (they were covered with tarpaulins.). In 1947, Mrs. Samuel Whiteside donated the theatre organ to Gill Coliseum at Oregon State University in Corvallis. The organ is now waiting to be reinstalled in its original home in the theatre. The Whiteside Theatre continued in operation as a movie theatre until the winter of 2002. The exterior of the building is mostly original (except for the addition of the neon marquee). The interior layout is intact, though decorative elements have been removed over the years. The "movie palace" resplendence could be returned through a proper restoration with a focus on capturing the spirit of the 1920's, bringing new life into this venerable theatre.